Expires MAY 11, 2018 (2 Boxes - 12.4 Ounces Each)...BRAND NEW Factory Sealed...2 Flavors in Each Box - SHARP CHEDDAR & PARMESAN...Made with 100% REAL CHEESE...Bakes Snack Crackers - Only 150 Calories Per Serving. View More In Assortments & Samplers. 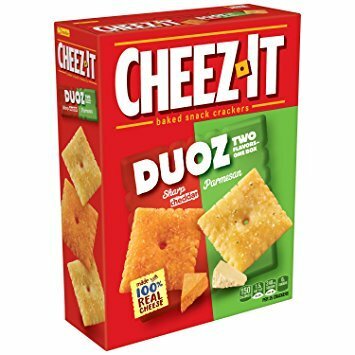 If you have any questions about this product by Cheez-It, contact us by completing and submitting the form below. If you are looking for a specif part number, please include it with your message.